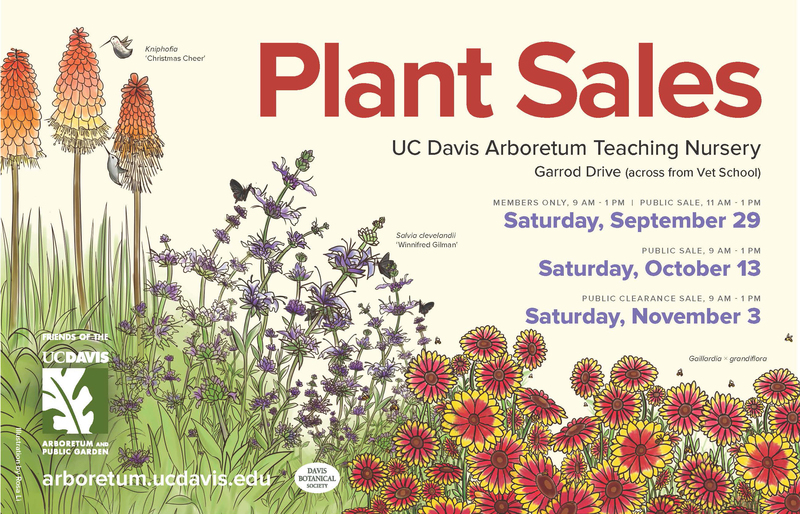 It's that time of year again, with the first plant sale of the season at the UC Davis Arboretum Teaching Nursery! Across the one-acre nursery, with almost 670 varieties of plants and almost 27,000 in inventory, this is a great way to get your house and yard looking great for this upcoming Fall! If you are a member of the Friends of the UC Davis Arboretum, Public Garden and Davis Botanical Society then you get early entry at 9:00am. If you are not a member then entry starts at 11:00am, but don't worry if you are not a member, there is still time to sign up online or at the door!